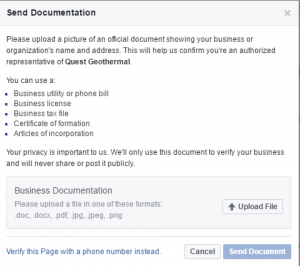 Back in May, Facebook made some updates to it branded content rules, which has led to the important of verifying your business or personal page. By verifying your Facebook page, you’re letting people, especially potential customers, that your profile is authentic and legitimate. Facebook pages with a Blue Badge indicates that it is the profile of a brand (like Nike or the NFL), public figure (Barak Obama) or a celebrity (Taylor Swift). Gray Badges prove that the profile has been verified by a business. Log into your Business Page and click Settings. Under General, click edit next to Page Verification. You’ll have two ways to verify: Documentation or Verify by Phone. 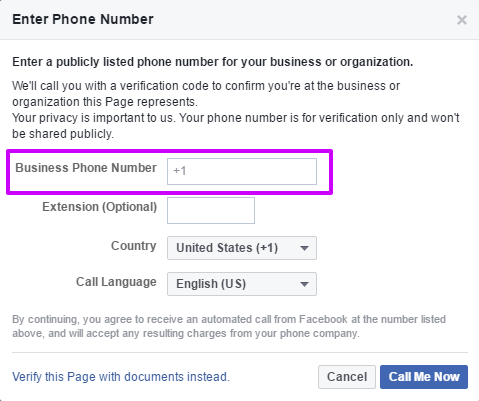 To Verify by Phone, enter your business phone number, country and language. Click “call me now” and be prepared to take down your verification code. 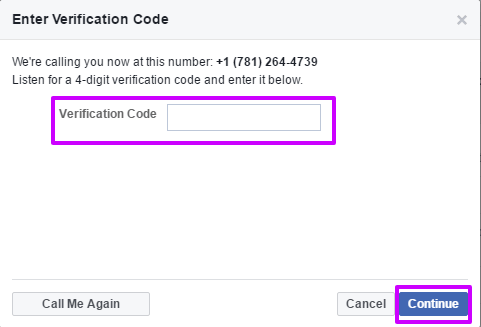 Enter your 4-digit verification code, click continue and you are verified! 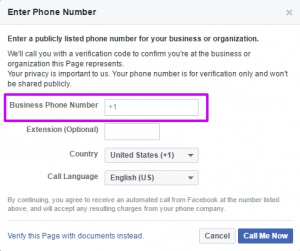 Your Facebook Business Page will now have a gray checkmark indicating that it is verified. 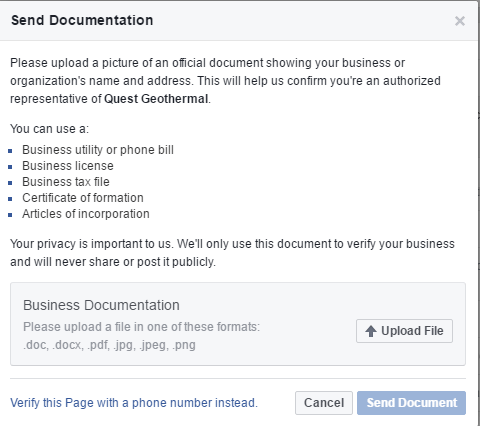 Once Facebook receives your documentation, they will review the information to confirm whether or not it’s legitimate. In a couple of days, you will receive an email or notification about your verification.